is lots of long, full hair! Not something we are all blessed with but Caterina advises brides to be to consider having permanent extensions put into their hair a week prior to their big day. “This gives the bride enough time to adjust to her new fuller and longer hairstyle and means that she will be able to enjoy her new hair through her honeymoon as well. The hottest looks at the moment for brides are elegantly dishelved buns and chi- gnons, sometimes with a little detail like a braided section entertwined as we have seen on the catwalks and red carpets of late. This look is infinitely easier to recreate when you have lots of long hair to work with.” Says Caterina. 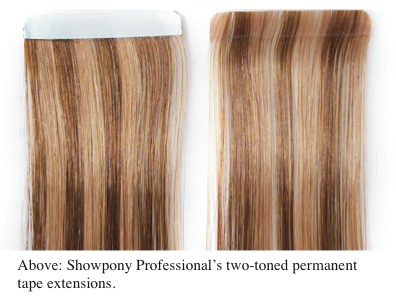 Showpony Professional permanent hair extensions can cost anywhere between $250 for 10 pieces up to $700 for a full head or 40 pieces and can be colour matched perfectly to any hair colour thanks to a unique two-tone colour strand feature.